But what happens if your are using cloud-based CI systems where you can’t apply plug-ins? In that case, Artifactory provides plug-ins directly for the build tools themselves (such as Maven and Gradle), which ultimately provides the same level of build automation. 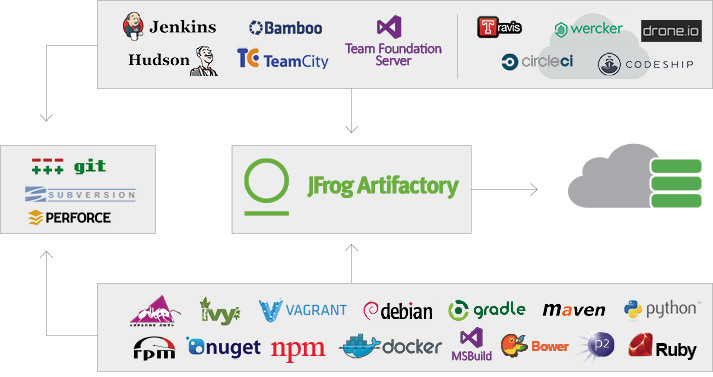 Essentially, since Artifactory is platform agnostic it can be integrated with generic tools across all the build ecosystems within your organization. Finally, once your builds are automated, Artifactory will keep your system free of clutter by cleaning up old builds according to your organization’s maintenance policies.